Want to share some love? Cut bread to resemble hearts. In a small bowl, combine sugar, cardamom and cloves. 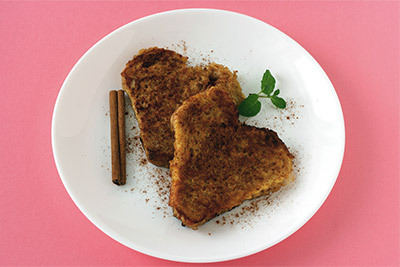 Spread butter on one side of each slice of bread; sprinkle sugar mixture on buttered side. Serve with warm syrup or sprinkle with powdered sugar, if desired. Note: Sugar mixture can be made ahead and used as needed. Store in an airtight container.